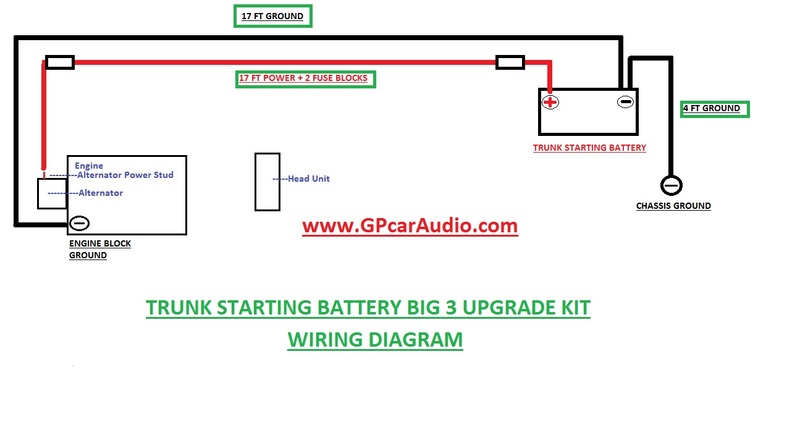 *Trunk Starting Battery Big 3 Upgrade Kit: This option is for vehicles that DO NOT have an under-hood battery and the primary starting battery is IN THE TRUNK. Fusing the main BIG 3 power run after the alternator, and before the rear battery is required on this kit. *SAE Certified for Marine and Automotive use.